Site-specific performance for horn, field recordings, and responsive light bulbs. November 15, 2012 – Wellington Tunnel, Griffintown (Montréal). 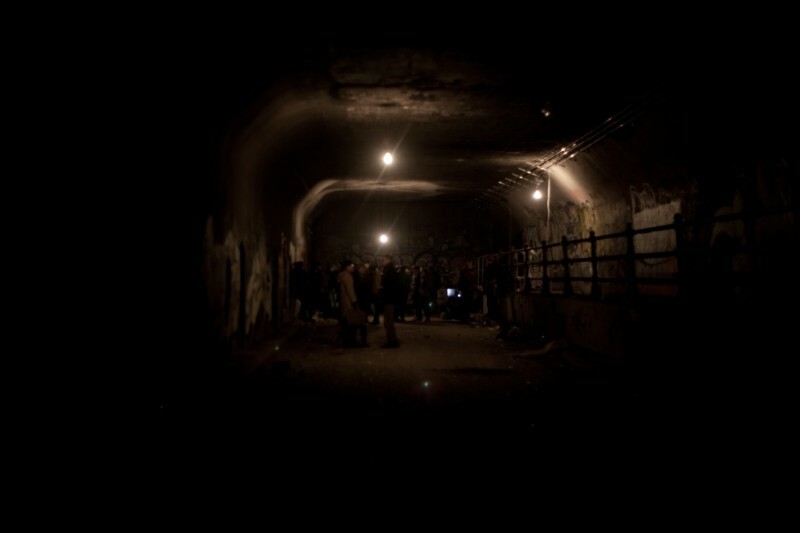 An immersive and transportive sound and light performance in an abandoned 200 meter-long tunnel under the Lachine Canal. The piece combined processed horn, layered ventilation sounds, field recordings and 12 sound responsive light bulbs. The light and sound guided the audience through the dark and resonant space, and grew in intensity as they neared the end of the tunnel.